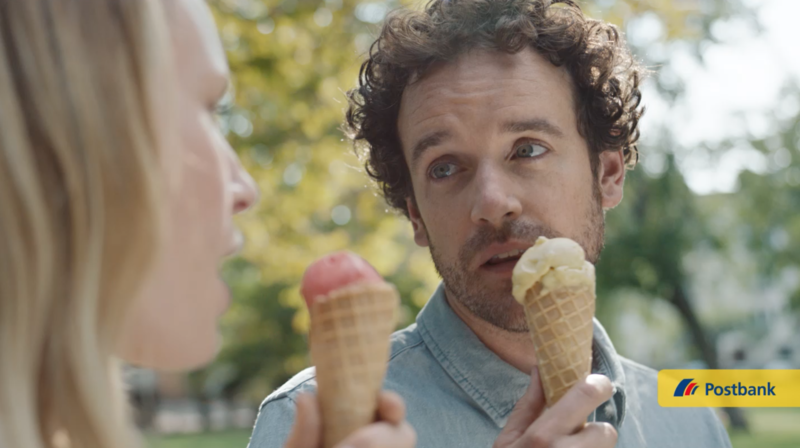 The eyes of the ad’s lovesick protagonists meet in a grocery store, and the courtship which ensues – through ice cream in the park, a bike ride, a romantic dinner – happens without the pair ever breaking direct eye contact. The campaign by BBDO Düsseldorf is produced by Czar Film features the song “Darlin” by the appropriately-named mysterious musical act Alias. Our work on this campaign placed this song in particular, as its wholesome doo-wop style, retro instrumentation, and sweet lyrics amplified the loved-up mood.